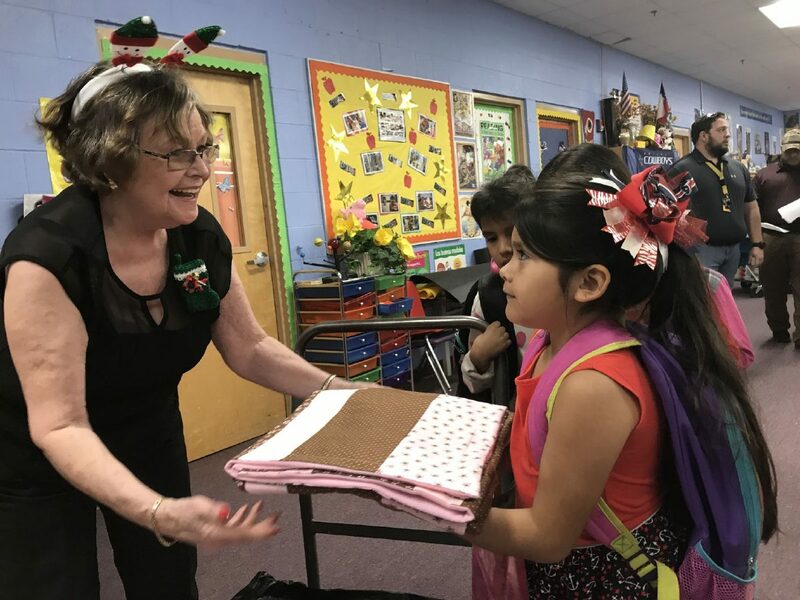 Winter Texan Arlene Reardon of Wisconsin distributes quilts this week at Singleterry Elementary School in Donna. 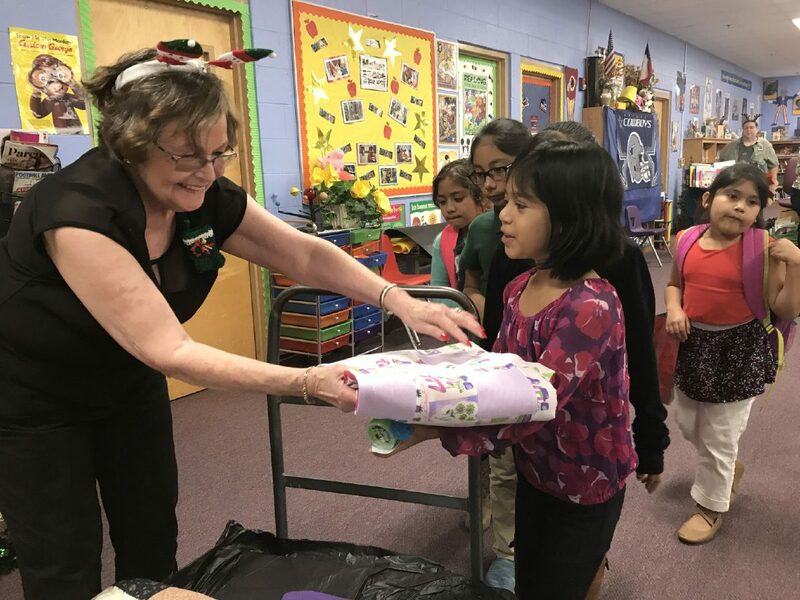 DONNA — Before they began their holiday vacation, 82 students from Donna’s Singleterry Elementary were given warm, handcrafted quilts. The donor and craftsperson behind the quilts is Arlene Reardon, an 11th year Winter Texan visitor from northern Wisconsin. Inspired by a newspaper article in January discussing the population of needy children of the Rio Grande Valley, Reardon decided to take action. Students recently entered the library in three groups, separating the 82 total. Reardon stood by the Christmas tree with her wagon of quilts, handing them out to each smiling child. Her husband, Jerry Reardon, stood by her side and distributed candy bags.